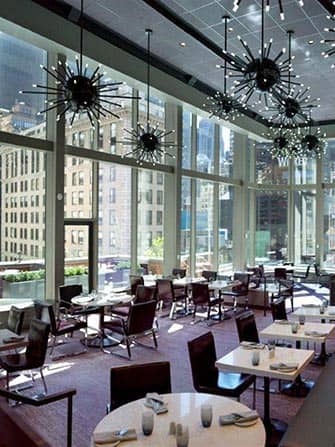 Hotel Novotel New York Times Square is located in the centre of the theatre district in New York. Many tourist attractions are easy and quick to reach. In addition, Times Square is right around the corner. 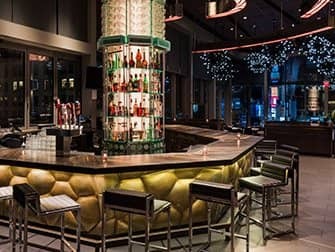 Most noteworthy, from the two-story dining room on the seventh floor there is a beautiful panoramic view of Times Square and Broadway. There is also a heated outdoor terrace for alfresco dining or enjoying cocktails. 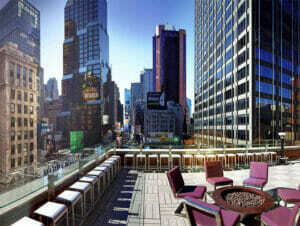 The Novotel New York Times Square Hotel has 480 rooms including 24 rooms for people with limited mobility. 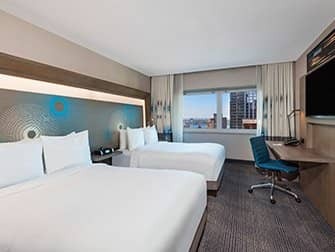 These rooms are modern and all have stunning views of Broadway, Times Square or the Hudson River. All rooms are equipped with a mini-fridge, safe and soundproof windows. 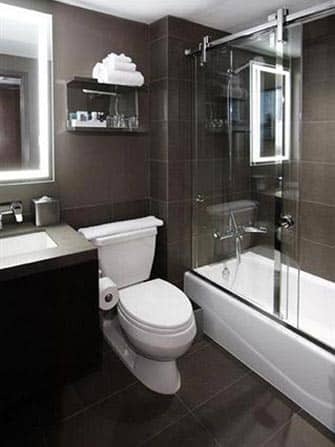 Free Wireless Internet is available and there are 32-inch flat-screen TVs in every room with cable TV and paid movies. 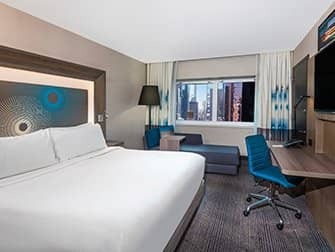 Novotel New York Times Square offers the best of both worlds. If you take a right you will bump into the busy Times Square yet, if you take a left then you will bump into Central Park. You can have breakfast in the hotel, but, what is even nicer is to go to Ellen’s Stardust Diner across the street. Eric’s Tip: This hotel was completely renovated within the last two years. A good hotel with reasonably spacious rooms. 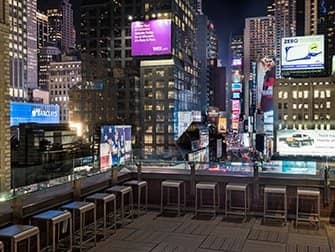 From the terrace there is a beautiful view of Times Square and it is always open (even at night if you cannot sleep). I would however, not advise to have breakfast in the hotel (too expensive) but instead to have lunch or dinner at one of the windows.